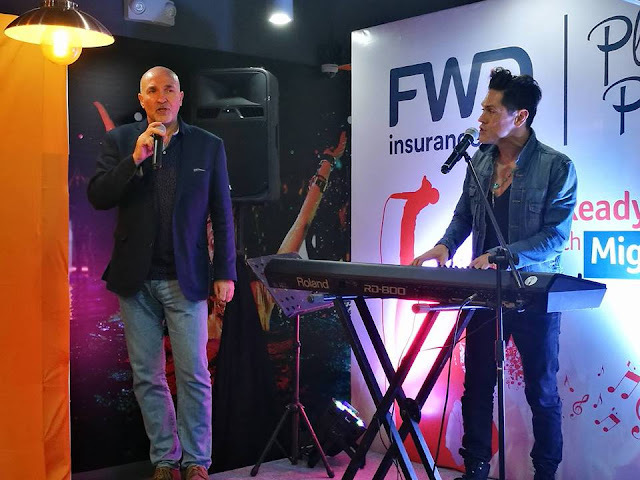 I first heard of MiG Ayesa way back when he joined that reality show Rockstar: INXS, where the band was looking for a new vocalist. 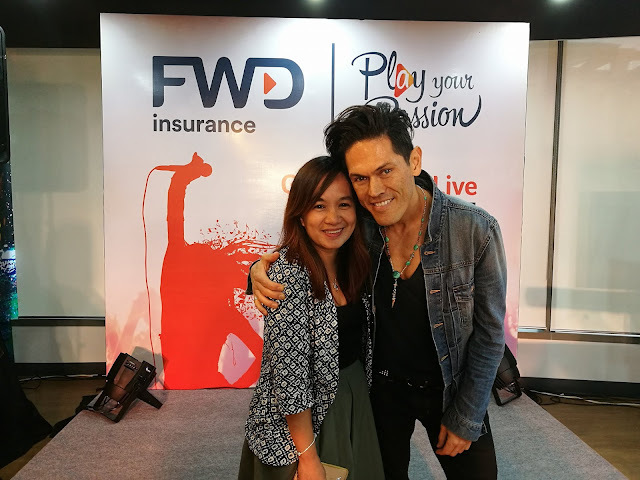 He quickly became my favorite even before I learned he was part Filipino, I just loved his look, and from the three finalist I think he looked the most legit rocker. I finally got the chance to meet him in person when he was promoting his play "Bridges of Madison County," and although he still had that "rocker" look, he didn't have that snobbish attitude you usually associate with artists of the genre. In fact, MiG was the complete opposite, he was nice very friendly, and most of all he smelled so good! Fast forward to last week, I got to meet MiG once again at the launch of his new song "Fill My Cup, his newest passion song, which he wrote for insurance company FWD. “Fill My Cup is my own personal soundtrack as it echoes my take on life and how I look at opportunities and challenges. It’s all about following your passions, “filling” up life with everything you can and never giving up. There are so many amazing things to see and to do in this world and we shouldn’t let our uncertainties and fears stop us. And that’s exactly what FWD wants to tell everyone—that they will be there to back you up, just in case something goes wrong. Remember, fortune favors the brave and FWD is there to help you be brave,” MiG told us. It is a song about resilience and optimistically taking on life’s challenges and future uncertainties by just living life to the fullest. 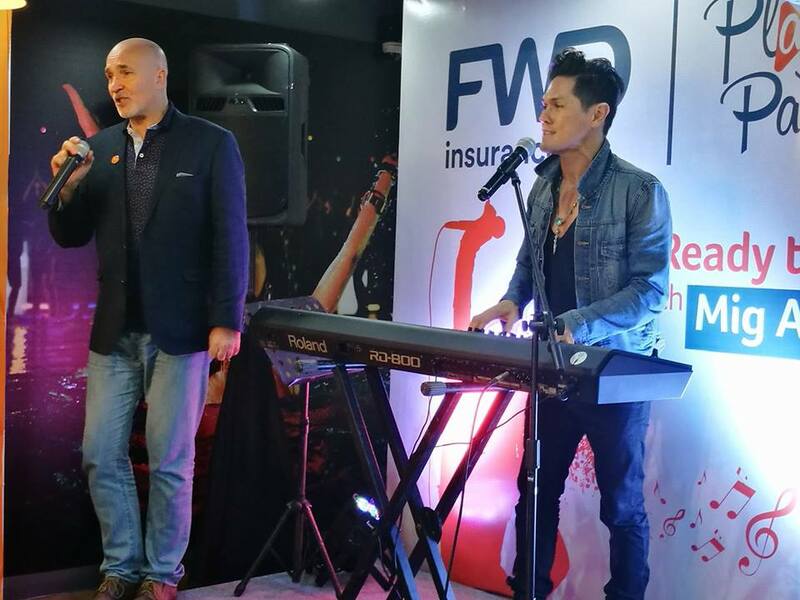 For FWD, MiG was the perfect partner for this project because not only is he a world-class musician and talented actor, but he also lives and breathes the FWD brand message,"said Roche Vandenberghe, FWD Life Philippines’ Head of Marketing. 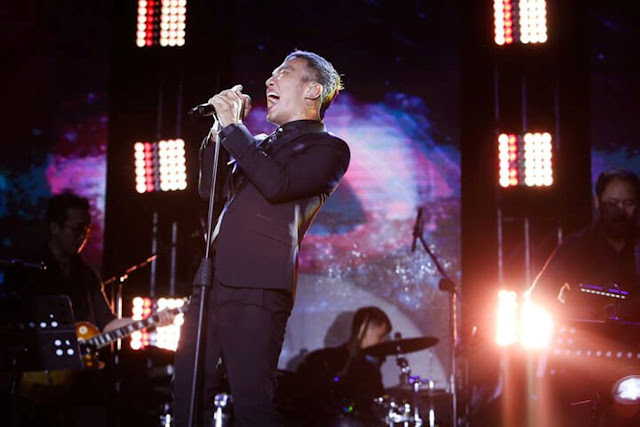 The song’s music video perfectly captures MiG’s zeal for life, as shown in the behind-the-scenes footage of the studio recording and clips of his own personal experiences and adventures. Mig “Filipinos are musical people. We express ourselves through music and lyrics. 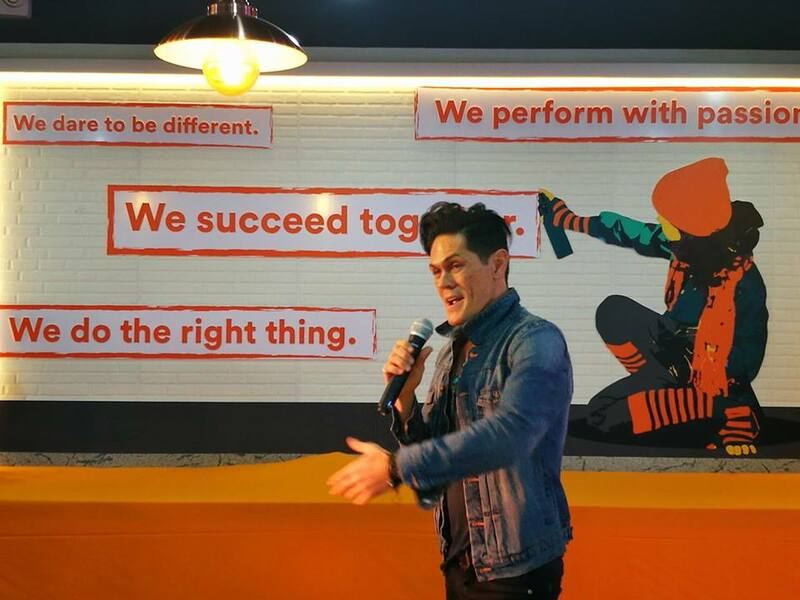 And we thought what better way to communicate how we, as a brand, embody the Filipino spirit—their love of life, their resilience, their optimism. "Fill My Cup" really captures the very essence of FWD’s philosophy of celebrating life and living life to the fullest. It’s such a feel-good and positive song and we hope it motivates Filipinos to live life to the fullest and always pursue their passions. When they do, FWD Life has their backs,” adds Vandenberghe. To make the song even more inspiring, FWD Life Philippines is donating P50 every time “Fill My Cup” is requested and played on the radio, and these will go to the Saint Rita Orphanage, a loving home that takes care of abandoned and orphaned children.